DETROIT -- Chrysler Group plans to detail its long-delayed plans for its Toledo North Assembly plant Wednesday, Nov. 16, when CEO Sergio Marchionne is scheduled to visit the plant to tell workers and local politicians about Chrysler's plan to replace its aging Jeep Liberty. In filings with state and local governments, Chrysler said it planned to invest at least $365 million in the 10-year-old plant and add 1,105 jobs there to produce the Liberty's successor. Toledo North is Chrysler's second-newest assembly plant, behind only the attached Toledo Supplier Park, which produces the popular Jeep Wrangler and Wrangler Unlimited. Toledo North is the automaker's only assembly plant still operating on a single shift, and the announcement will come just before Chrysler ends production of the Liberty's line mate, the Dodge Nitro, in December. The Liberty's replacement may keep the Liberty name, in use since 2001, or get the previous name, which it has maintained in overseas markets, the Cherokee. It will be the first Chrysler SUV built on Fiat's CUSW architecture. The architecture is expected to underpin as many as eight future Chrysler, Dodge, and Jeep vehicles in the high-volume C- and D-segments, according to the five-year plan the automaker detailed in 2009. A Jeep spokesman said t the new vehicle won't be on display when Marchionne visits the plant next week. 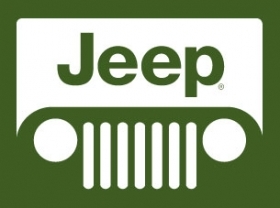 U.S. sales of the outgoing- Jeep Liberty are up 34 percent through October, and Nitro sales are up 16 percent.